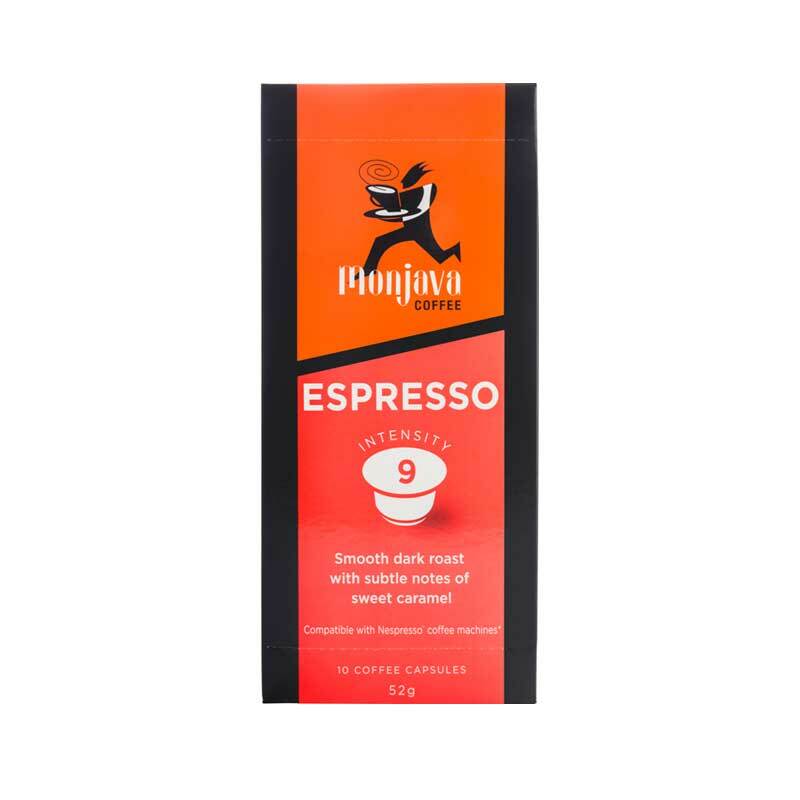 Our Monjava coffee capsules have been developed to deliver a true, classic espresso. 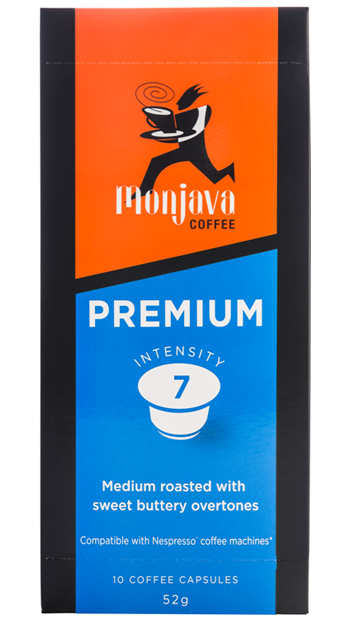 The coffee we use is roasted, ground and then packed in the capsules within days of roasting, all right here in Australia. 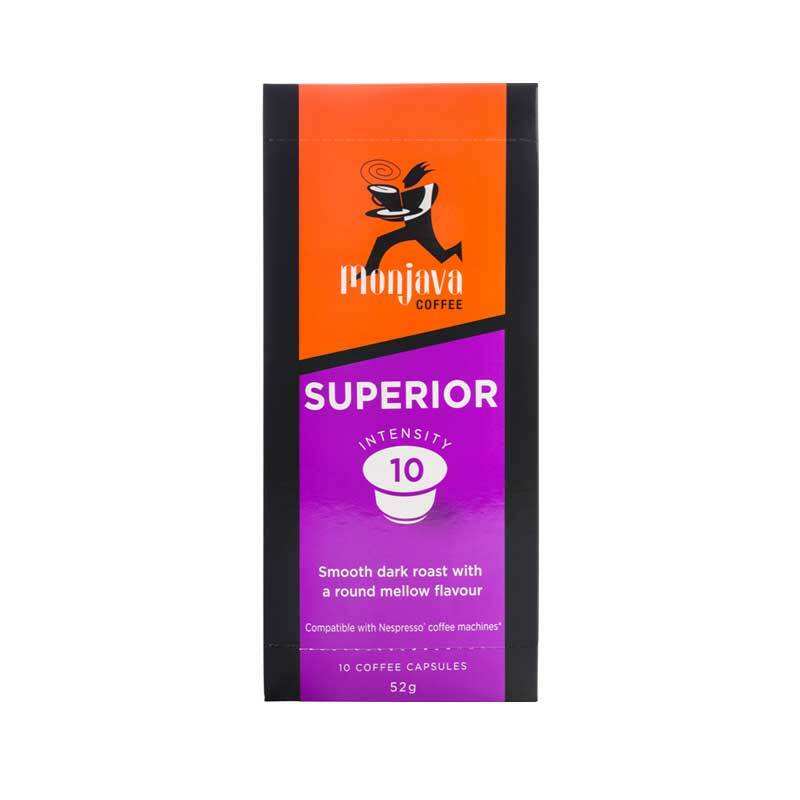 They are specially developed for use with Nespresso®* Coffee Machines. A dark roasted blend using both South American and African coffees with a strong body and flavour, this coffee has sweet buttery overtones, good for espresso. *Trademark is owned by Société des Produits Nestlé S.A. and is not a affiliated with Nievole Distributors Pty Ltd. Compatible with the Nespresso System.